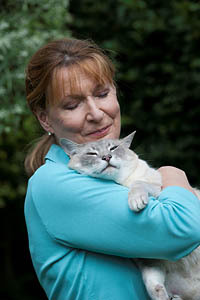 Margrit Coates has paved the way for animal healing to become well known worldwide and her books, lectures and clinics have brought animal healing into respectability. Margrit Coates is based in southern England, but travels world wide to teach and lecture. Her empathy with animals is now legendary and she also communicates with animals soul to soul. www.thehorsehealer.com is Margrit's specialist equine focussed site and www.margritcoates.com her generic site and distance healing. Margrit has been featured in numerous magazines and publications and has written columns for publications including for the Daily Mail newspaper. 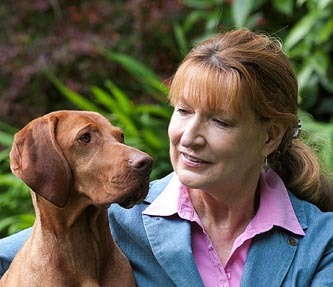 Margrit has also been featured in several TV programmes and gives frequent radio interviews about her work. 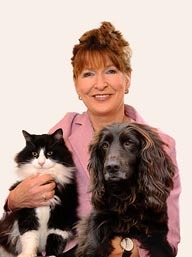 As well as being the world's leading animal healer, Margrit is also a renowned animal communicator. This is not something that Margrit has learned to do from someone else - from a child Margrit has had highly developed psychic senses. She is clairaudient (hearing messages from animals), clairsentient (picking up sensations from the animal to sense how they feel) and clairvoyant (seeing images and other information). "Hello, thank you for looking up my website. First a bit of information about my background. I have over many years experience as a healer and interspecies communicator. On the healing side of things I now specialise exclusively with animals. Over the years I have given many thousands of hands on healing treatments to, and communicated with, a huge variety of animals. I also receive regular veterinary referrals for my work. I am a member of The Healing Trust', and I teach animal healing for The Healing Trust. I am also a healer member of the British Register of Complementary Practitioners. For several years I lectured in animal healing to post-graduate students studying companion animal behaviour at Southampton University UK, the first healer in the world to lecture in this topic at a university. I am a faculty member of the Open Center, New York, where I teach animal healing. My healing experience is wide ranging including with horses, dogs, cats, birds, farm animals, zoo and exotic animals etc. I lecture world wide in animal healing, and also run courses world wide for professionals working with animals (including vets, animal behaviourists, chiropractors, osteopaths, physiotherapists, etc). I live in the beautiful New Forest National Park of southern England and it is wonderful to be surrounded by so much wildlife, some of which visit our garden, and of course the wild ponies." If you would like to make an appointment you can Email me on margrithealer@hotmail.com or use the webmail contact form but I cannot answer individual problems about pets on line. I cover Wiltshire, Hampshire, Dorset, Somerset, Berkshire, Oxfordshire, Sussex, Surrey, London and South East Devon. You can bring your animal to the clinic near Winchester or I may be able to make a home visit in areas near Bournemouth, Southampton, Salisbury, New Forest, Winchester etc. I can communicate with your pet as well as offering him or her a healing treatment to help emotionally, mentally and physically. Healing reaches the soul level. Veterinary permission is required for a visit. I also offer a distant healing service, please get in touch with me via the contact me page if you are interested in this service.